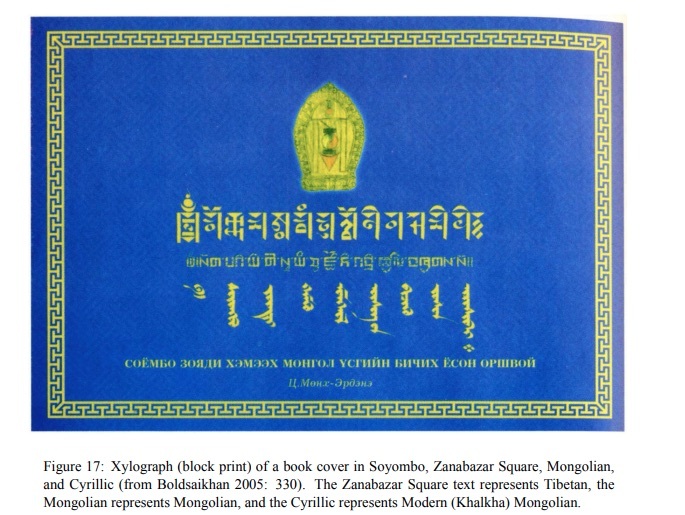 The Soyombo script may be the only writing system in the world that it is endangered in the sense that virtually nobody uses it, yet everyone in its home culture recognizes one of its letterforms and sees it virtually every day. 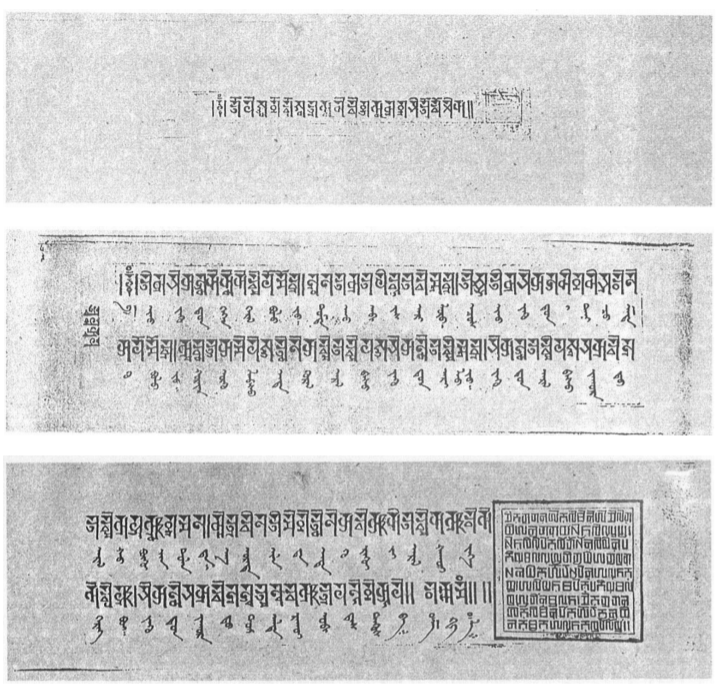 Zanabazar had created it for the translation of Buddhist texts from Sanskrit or Tibetan, and both he and his students used it extensively for that purpose, but it was too ornate and complex to be written hastily or used for everyday purposes. 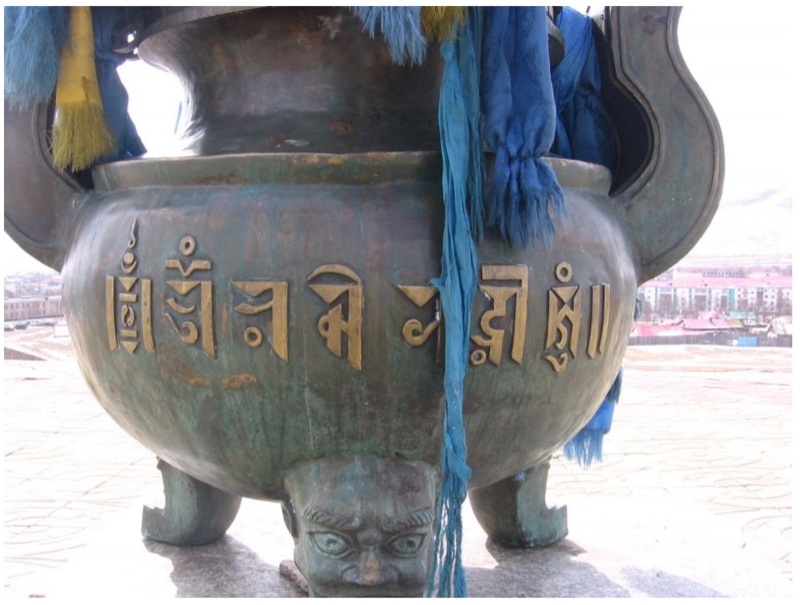 It continued to be a familiar sight in temples, on official seals, and on prayer wheels, though, and in time this ceremonial and decorative use translated into the secular realm: the script, and especially the character for Soyombo itself, became so central to Mongol identity that in 1921 it appeared on the national flag. In a sense, the very fact that it was no longer in general use meant it could take on a purely iconic value. 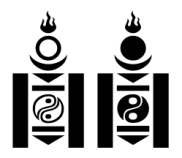 In 1960 it was included as part of the Emblem of Mongolia, and has also been used on the country’s postage stamps and money.